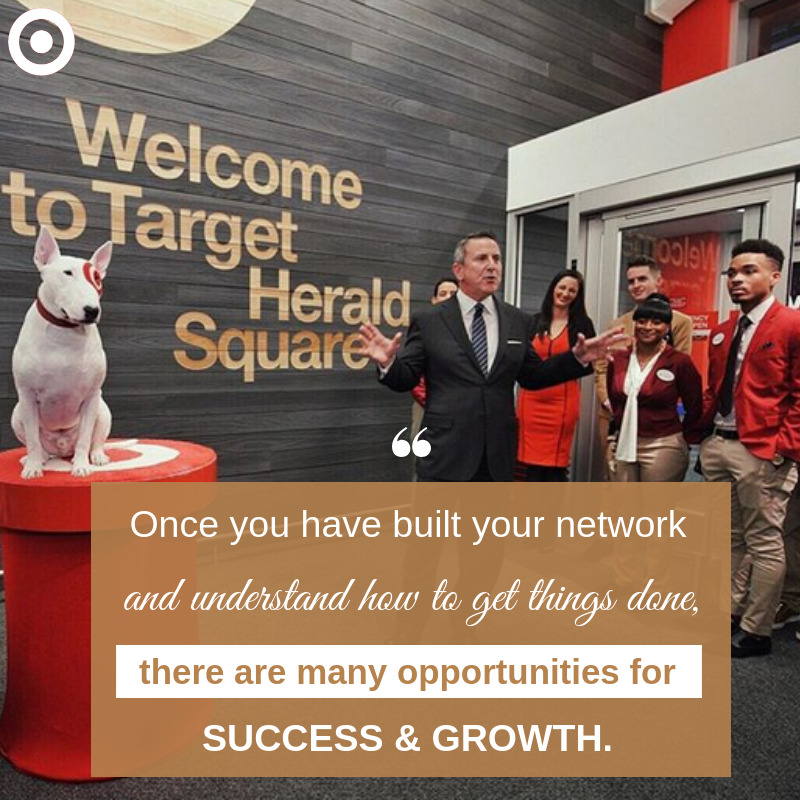 Target's inspiration and motivation comes from the top down. The leadership team is always present to help team members become the best they can be and develop not just as employees, but as human beings too. It’s important to foster an environment where everyone feels heard and welcome. Before every shift, Target employees participate in a daily huddle. This is the time during the day when they gather together and share their goals for the day and get each other motivated to do their best! 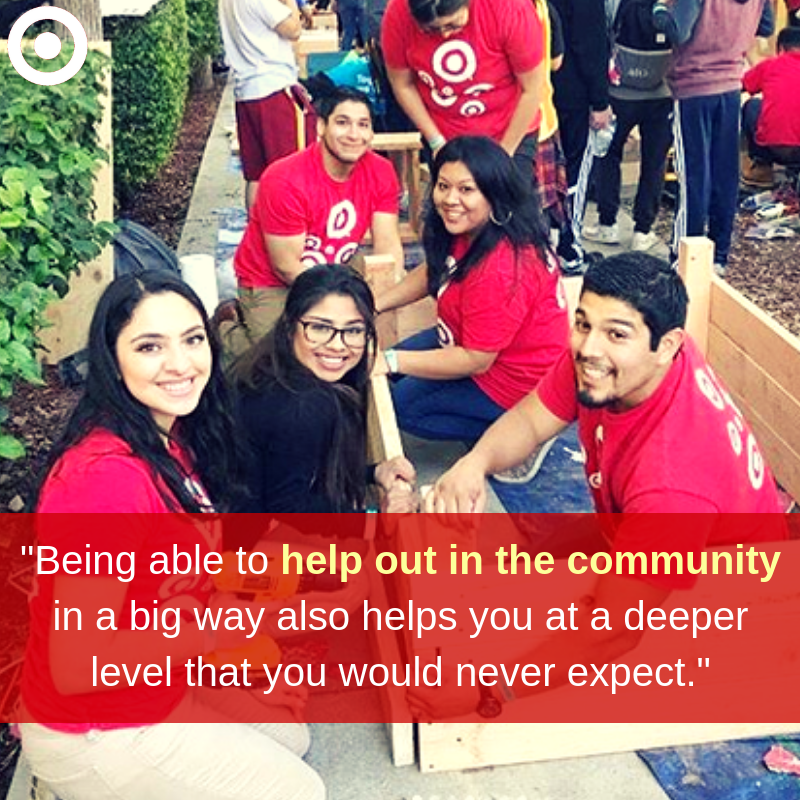 Target understands the importance of working together to give back to their community. They often have community service days where team members get involved in the community and spend time helping organizations in the area. No matter what they're doing or where they are, the team members at Target are always having fun when they’re together! The company has worked hard to create an environment where team members can help guests, but also have a great time together while doing it! 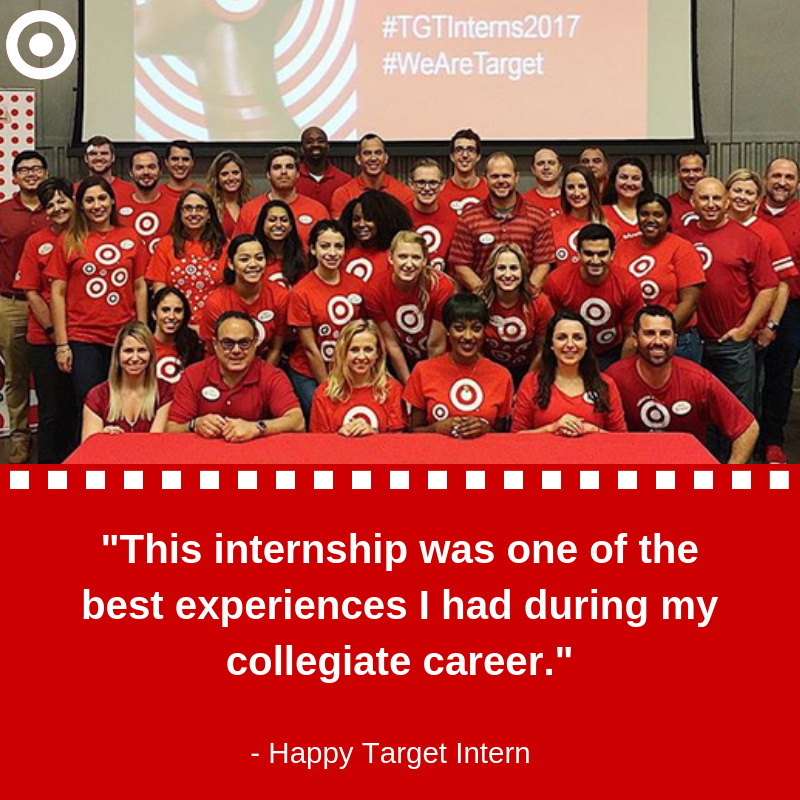 Target's Internship Program gives students the opportunity to learn the ins and outs of a successful business. Throughout the course of the program, they're given the tools and resources they need to succeed in their career. At the end of this program, the goal is that they'll walk away knowing all about how the organization operates and will have developed into stronger professionals.